Earthly Matters Painting is an Alpharetta Painting Company with over 16 years of talent and experience to the painting and home repair business. We do it the old-fashioned, time tested way. Simply put, we work very hard and are willing to go that extra mile to in order to please the customer and turn the heads of visitors to your home. We look at each and every job, regardless of its size, as an opportunity to please people by showing off what we do best. Being the best at what we do includes friendly and professional service when planning the job, performing the job, and following up after completion of the job. We can help you select paint colors and share painting ideas. We are pleased to announce that we now have a new division that specializes in roofing. Our highly trained specialists can handle replacement or repair of any roofing job at an affordable price. We also work with insurance companies when needed to help provide proof of damage from wind and hail storms. 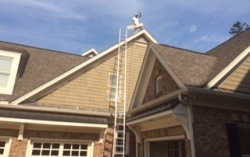 So, many folks now refer to us as their Alpharetta Roofing Company as well as our standard quality painting services. 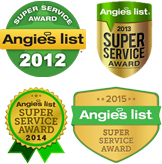 We will cover your job from start to finish with experience, courtesy and respect. We specialize in both interior and exterior residential and commercial projects and can share painting tips that will save you money. We stand by our work with our unique Four Star Service Guarantee. There are other Alpharetta painters available to paint your home, but we invite you to allow us to show you what we can do! Earthly Matters is a service oriented company. We guarantee on time delivery of our service and provide top quality assurance to make sure our customers are satisfied. We are licensed, bonded, and insured and look forward to working with you. We look forward to the opportunity of being of service. Give us a call at 770.346.0203 or click on this Contact Form to request a free Earthly Matters Estimate to paint your home.